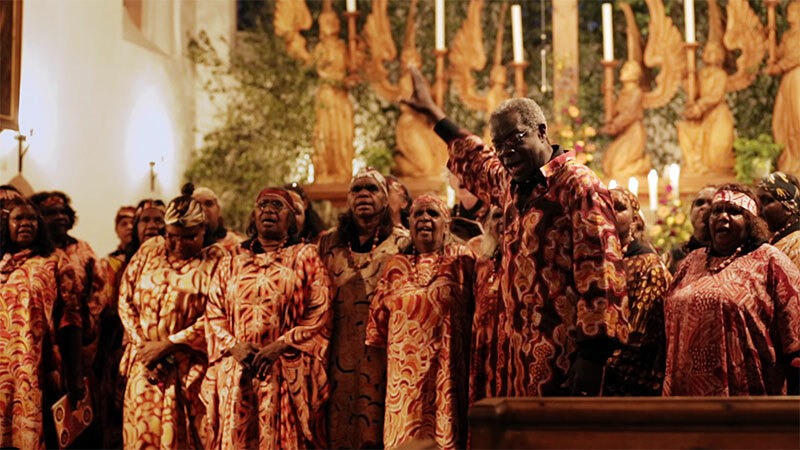 The choir, which starred in the 2017 feature documentary, The Song Keepers, will perform Lutheran hymns and other sacred music in their traditional Western Arrernte and Pitjantjatjara languages on two days of the outdoor event, which runs from 8 to 11 March. WOMADelaide features more than 600 artists from more than 40 countries. Some of the songs which will be sung by members of the award-winning 35-strong choir were taught to their forebears in their remote Northern Territory Indigenous communities and translated by German Lutheran missionaries more than a century ago.